The other voice on the now infamous video tape with Donald Trump is Billy Bush. His father is Jonathan Bush, brother of George H.W. Bush. That makes he and George W. cousins. October 8, 2016 at 2:55 PM: A traffic collision has been reported at Hwy 33 and Ward Avenue in Patterson. An ambulance is responding to the scene. Two CHP are currently at the site. Be extra cautious if in that area. Donald Trump has told reporters that he will "NEVER" drop out of the Presidential race. In fact, he came outside Trump Tower to hold his fist in the air earlier. This, as even John McCain has withdrawn any support for Trump. And Pence refused to represent Trump in Wisconsin today. October 8, 2016 at 9:55 AM: A hit and run has been reported on Escalon Bellota Road in the Farmington area. A car rolled over and is back on it wheels. CHP report blood in the vehicle, but no injuries have been indicated. Letter to the Editor: Remember when? My wife and I were discussing the time when Republicans took the so-called high ground and claimed to be the morally best of the two parties. There is a station that plays Oldies for those who love them. 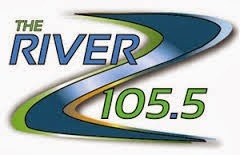 KRVR out of Copperopolis and Modesto is located at 105.5 FM and also is available free online. Try them out. We love them, although above Angels Camp it is hard to get the signal. Online though, good everywhere. October 8, 2016 at 9:25 AM: A traffic collision has been reported at Hwy 120 and Jacksonville Road in Jamestown. No injuries have been indicated. It is not blocking the roadway, but be cautious until CHP arrives at the scene. October 8, 2016 at 9:20 AM: A car has reportedly hit a pole at Oak Trail and Shenandoah Road in River Pines. PG&E has been advised. CHP is en route to the scene. No injuries have been indicated. We are now conducting polls in both District 1 and District 5 Supervisorial races in Calaveras County. The results will be released next week.